Hammerhead Industry has been on the block (and the trails) for a while now. There is something remarkably awkward yet remarkably awesome about their bikes. Built to be just as comfortable on the cobblestone as the back roads; the vintage looks and modern updates will make this the perfect companion for those weekend jaunts on or off-road. 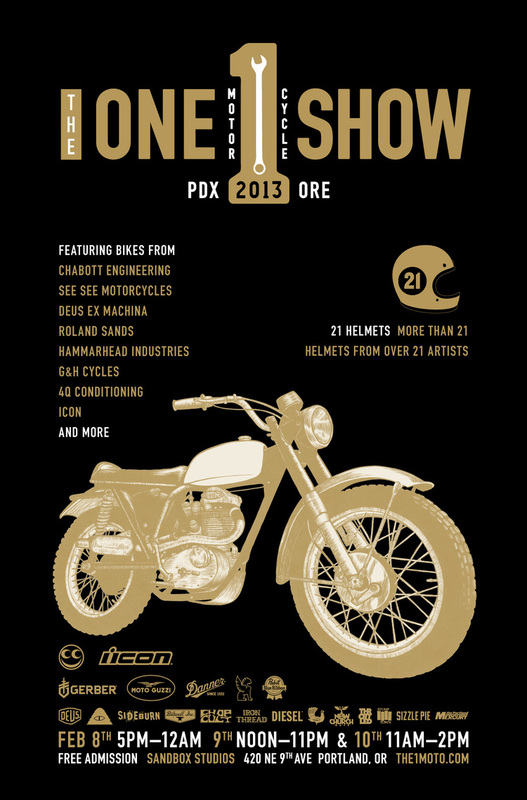 If your in the Portland area you can go give them a visit at The One Motorcycle Show; See you there! With spring and warm weather (hopefully) coming soon, you'll need something rugged and hearty to keep your beer cold. Luckily, the Portland Growler Co. offers just that: handmade, hand poured ceramic growlers that are slip cast and carefully trimmed from local clay. Available with three handle styles and your choice of matte black, gloss white, satin grey or gloss blue colour options. Standard sized growlers measure in at 64oz, however PGC offers a smaller, 32oz 'Growlette' version to match all your beer-drinking needs. Modelled after the ESEE-3 Tactical Knife, the ESEE-4 is a slightly longer, thicker version ideal for being used as a primary backpacking or survival knife. The knife comes with 3/16" thickness, full flat grind, rounded pommel and (canvas optional) Micarta handle, MOLLE locks, paracord locks, and black Kydex sheathing. Originally designed for military, law enforcement and special operations these knives are setting the standard for no-nonsense, high performance field knives. Backed by a "no questions asked" lifetime warranty. Bushcraft means wilderness self-reliance, and this pack was made not to survive in the bush, but to thrive; that takes a lot of gear. Built as full-featured canoe packs, both Isle Royale and Isle Royale Jr. were built to haul heavy loads into and out of the wilderness. The pack measures in at 2760 c.i (46 litres), and fully expanded reaches an impressive 4968 c.i (81 litres). The twin back pockets straddle an axe sleeve and make for a slim profile, while the extended hood contains internal rain flaps and allows for extreme over-stuffing. Made in the USA from 18oz waxed canvas, premium leather and solid brass hardware. 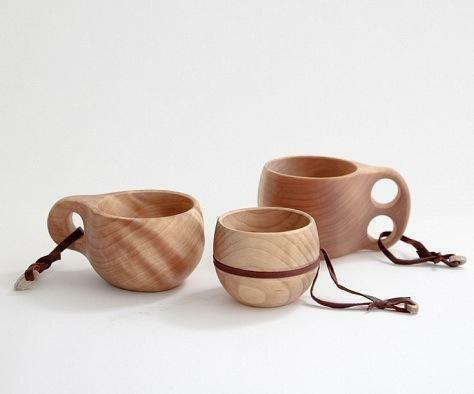 Kuksas are hand carved from rare arctic birch burl, and treated by boiling the cups in salt water for 12 hours. 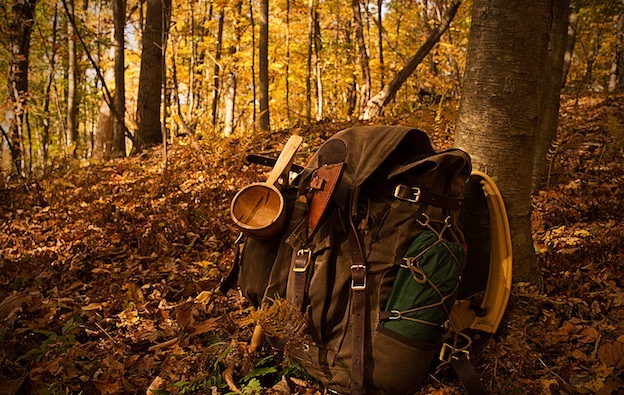 Cups are often tied to backpacks when camping and used to drink from natural spring water. Kuksas are antiseptic and do not need to be cleaned, a gentle rinse with water after drinking coffee, juice, or tea is recommended, the flavours do not carry over. Kuksas are handmade in Finland and made for a lifetime of drinking pleasure. Each Kuksa comes with a leather handle made from supple reindeer leather. No more need to carry fuel bottles or canisters. The Backcountry Boiler is a light and versatile boiler that represents the most sensible way to prepare hot meals and drinks outdoors. The concept is based on simple thermodynamic principles and runs off of anything flammable - paper, pinecones, twigs and leaves. The canister weighs in at 8oz (with accessories, bare metal weight 6.5oz), and offers a 16oz boiling volume that can boil up to 2 cups of water every 5 minutes in virtually all weather conditions. The boiler can also double as a water canteen when not in use, minimizing your pack weight. Trade in your electric shaver for the Baxter Blue Steel "Not A Replica" Straight Razor. This custom designed, Hart Steel razor blade was inspired by American firearms and is handmade by a team of artisan technicians in Northern Michigan. All processes from grinding, marking, sharpening and assembling are done by hand from start to finish, and each craftsman personally stamps each razor to reflect his work. The Hart Steel is what gives this blade the sharpest and most long-lasting edge for the closest shave possible.